Smartphones and tablets have taken their place as the dominant form of consumer technology. We almost all have one or the other. More often than not it serves as our media center, social hub, reference and organizer all in one. We have covered ways to recycle your old phone or what to make with an old tablet, along with when it is a good idea to try to repair your own phone or when to leave it up to the professionals. Today we are concentrating on DIY hacks for your current phone or tablet. This mega list is split up into Easy, Medium, and Advanced difficulty based on the DIY skills required to pull them off. 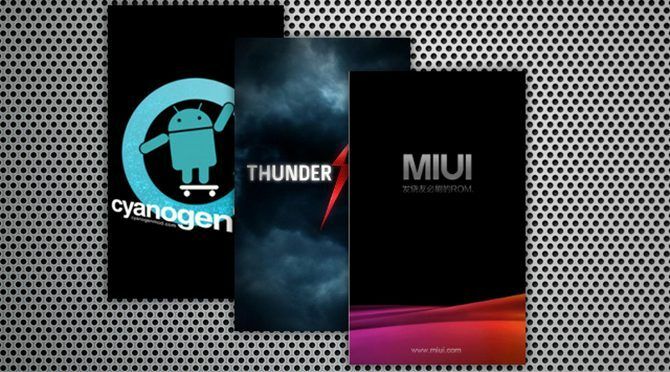 Many of these hacks will work regardless of your choice of Android or iOS, and there is something here for everyone. Lets get started! 1. Toilet Roll Smartphone Speaker Booster: Lets start with a classic. No speakers available? It’s time to make the Smartphone Speaker Booster! Requiring just the inside of an old toilet roll and two plastic cups, this tried and tested method really makes a surprising difference to your smartphone’s built in speaker. 2. Heat Shrink Cable Protector: Tired of damaged charging cables? There are many ways to avoid this problem. You can opt for something simple like electrical tape, or something more permanent like a dedicated cable sleeve. My personal favorite? Heat shrink! 3. Bottle Top Stand: Smartphones and tablets alike benefit from a stand to give your arms a break. This is possibly the simplest and most elegant design we have seen. Requiring only the top from a soda bottle and an old wire coat hanger, it doesn’t get much more DIY than this. 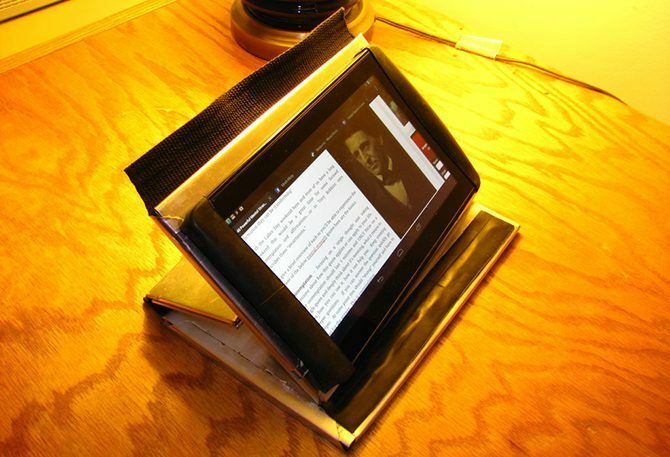 Of course, this is one of many variations, we’ve previously covered 20+ ways to make your own tablet stand. 4. 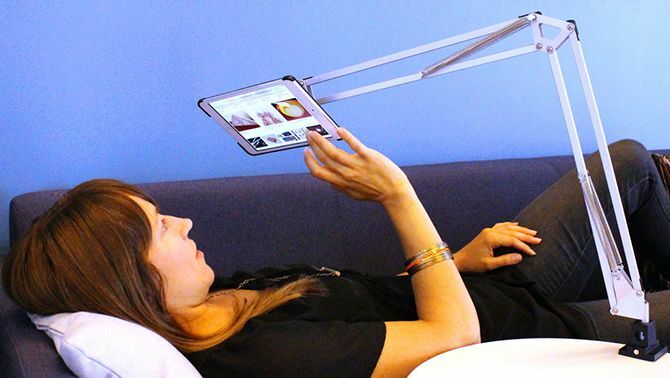 Ikea Lamp Stand: Another way to give your arms a break is to attach your tablet to an articulating arm. This hack by Instructables user Mikeasaurus incorporates the arm from a cheap IKEA lamp. This design uses a cheap threaded iPad mount and makes great use of the already in place fixtures to make a highly functional hands free tablet viewer. 5. Game Controller Mount: If you’re a fan of mobile gaming, this controller and phone mount is for you. This sturdy DIY hack uses a metal spatula and car mount in combination to allow gaming on the go! Prefer playing on a tablet? Instructables user madebyjoe has you covered! This build uses covered steel rods, making it possibly the strongest DIY mount we’ve ever seen. 6. Velcro Chair Mount: It’s hard to get comfortable when traveling as it is, take your device out of the equation with this Velcro chair mount. This is just one of the countless ways adhesive backed Velcro makes the world a better place. 7. Android Timelapse: Recent iPhones make time-lapses as a standard feature. With a little tweaking, you can do it on Android too. This Instructable uses the versatile Tasker app to automate the photographs, which can later be stitched together into a GIF. 8. Security Camera: You can use any smartphone as a security camera, and as you likely have an old phone lying around somewhere, why not put it to use? The article covers using Salient Eye in order to protect your dwelling while you are out, along with two other options to protect your possessions. 9. Camera Macro Lens: Add a lens to your phone’s camera in order to take beautiful macro photos. The lens in this hack is from an old disposable camera, which is a great example of reusing old consumer items for DIY projects! 10. Mobile Microscope: Go one step further and turn your phone camera into a microscope. This simple addition to any smartphone uses a 3mm ball lens to magnify the already existing camera significantly. 11. 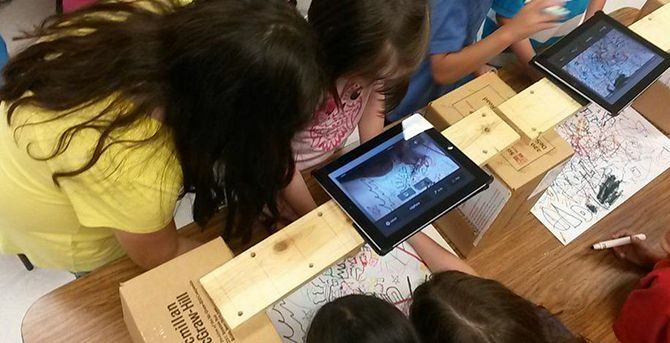 Stop Motion Film Set: Stop motion is a fantastic way to get into animation.This method for iPad is designed to be simple for adults and children alike. Using a dedicated app to line up each shot, this method makes it easy to pick up where you left off on another day. Not using an iPad? Here is another approach using a static stand, and a smartphone zip-tied to it to stop any unwanted movement while making your animation. While these next two hacks might be pushing the definition of “genius”, they certainly warrant an honorable mention. 12. Lego Camera Case: Have you ever found yourself taking a photograph on your smartphone, only to look up and realize everyone else is doing exactly the same thing? This hack is for you! 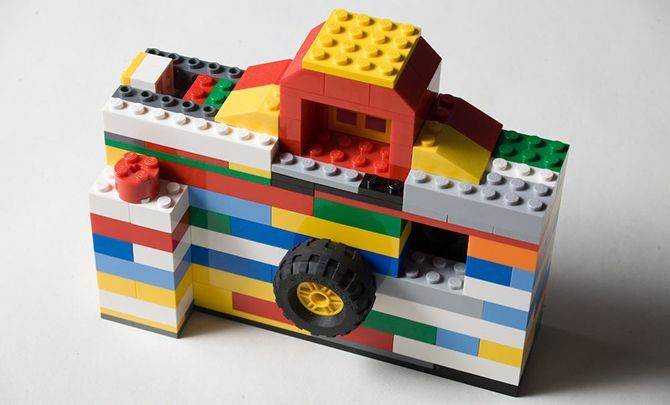 Disguise your camera phone as… well, a camera using Lego. 13. Hat Mount: This next one may well push all the way down through downright weird all the way back to genius again. The ultimate hands free device. 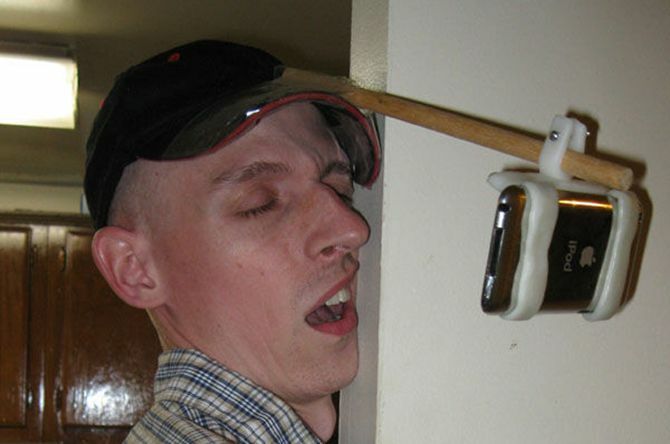 Ladies and Gentleman, the smartphone hat mount. One wooden spoon, one packet of moldable plastic, a few minutes of assembly, and several days of aches and pains when you inevitably walk into a wall. These next few will take a few more DIY chops to pull off, though with these fantastic guides you should find it easy enough. 14. Smartphone Smart Home: To start, why not have your smartphone or tablet control your house? It’s easier than you’d imagine, using Blynk to control Internet of Things devices. You can use it with almost any microcontroller, to control almost anything! 15. 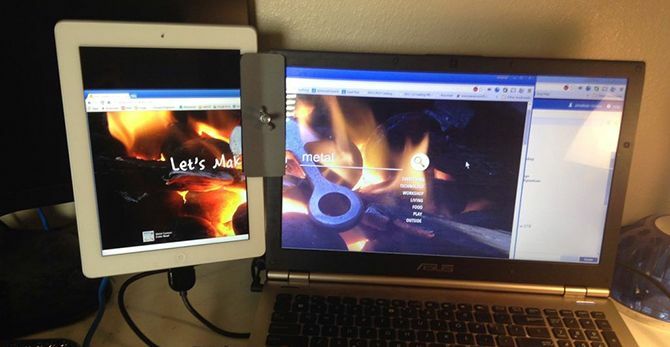 Monitor Mount: Why not mount your tablet to your laptop monitor to keep it exactly where you need it? This robust build uses sheet metal and a wingnut for quick and easy operation. 16. Camera Remote: Are you a fan or DSLR photography? 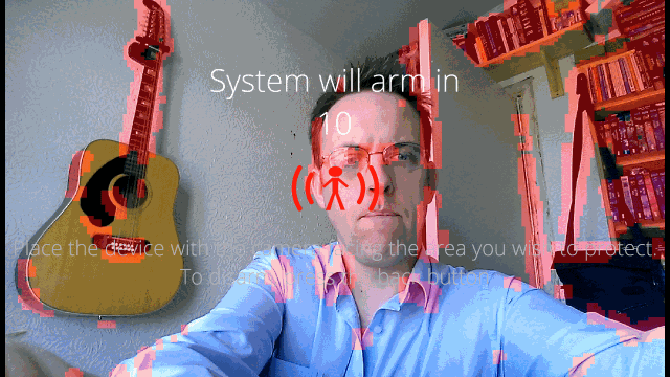 Use your iPhone to create an Infra Red (IR) remote for your camera. This nifty hack uses the 3.5mm jack to send IR signals to your camera — you may have many of these parts already. 17. TV Remote: In keeping with the IR theme, want to change TV channels using your phone? This project uses an Arduino along with some cheap components to bridge the gap between your telephone and the IR receiver on your television. 18. Shoebox Projector: Have you ever wanted to watch a movie with friends but were limited by your small smartphone screen? Why not turn your smartphone into a projector. Using just a shoebox and a lens this build gives a surprisingly good result. 19. Mini Computer: What happens if you need to get some work done but don’t have a computer with you? Why not turn your smartphone into a mini desktop computer you can take anywhere? There are several ways of doing this, the simplest being using a Chromecast and a bluetooth keyboard and mouse. 20. VR Headset: Have you tried VR yet? 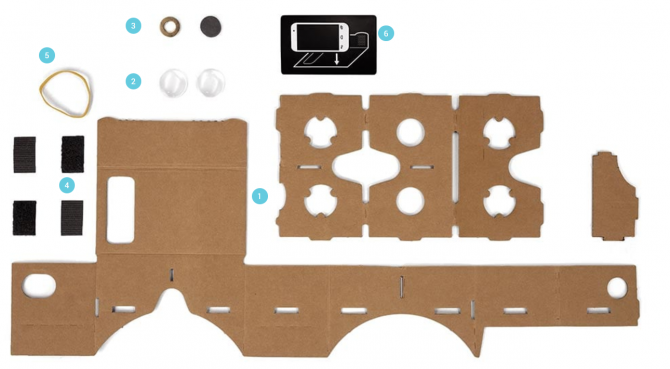 With these simple instructions you can build your very own Google Cardboard VR headset in minutes. Scroll down to Download Instructions for a detailed how-to guide. The lenses are available for under a dollar on AliExpress. 21. 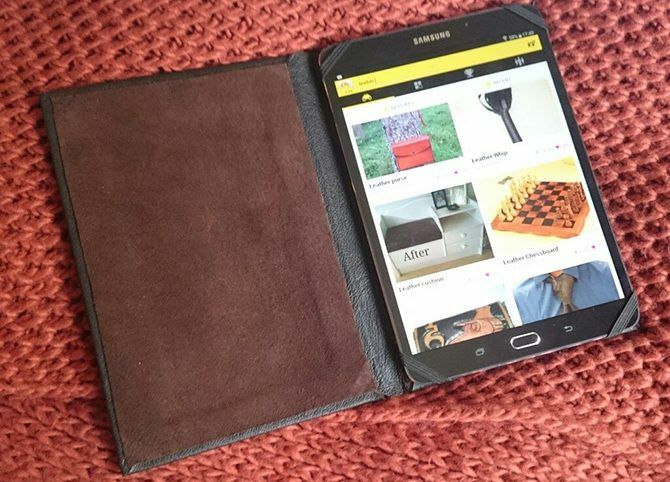 Leather Case: For a totally DIY but stylish and high quality tablet case, follow this guide by Instructables user psharp20. By using an old leather jacket, this gives this DIY project a professional, vintage feel. 22. Metal Stand/Case: What about something more heavy duty, and with an integrated stand, for under $20? By using sheet aluminum, Instructables user Triplezee has created something sturdy and long lasting. This final section includes some of the more fiendish or specialized hacks. Some of these need a decent amount of previous experience to pull off, while others are more resource heavy. 23. Arcade Cabinet: To begin, retro gaming is big currently. With such a wealth of great old games available its easy to see why. This hack and build incorporates an Android tablet into an old school arcade housing. This project has the fantastic MAME4droid app as its backbone, which is available for free on the app store. If you are looking for those chunky old school buttons, AliExpress is once again your friend. 24. Steampunk Charging Station: Charging our devices in the evening has become part of our daily ritual. 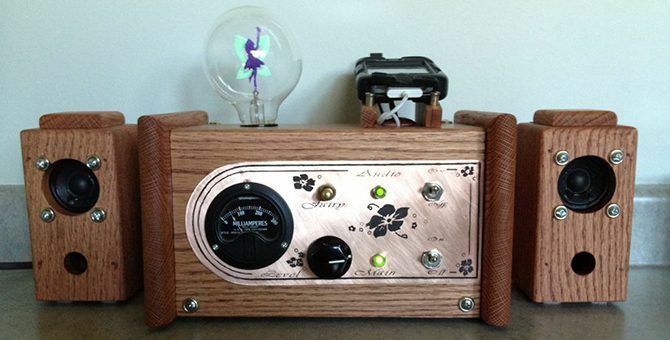 Why not add a little style to your charging station by giving it a steampunk overhaul? This is a really lovely build, incorporating already existing tech and housing it in a stylish wooden box. The great thing about this guide is even if you do not have the tools to create an enclosure of the same scale, you can still follow the build along and give it your own design. 25. iPhone Amplifier This next one is the logical conclusion of the very first hack on this page. From toilet roll holder amplifiers, to a full scale Victrola Cabinet hacked to amplify an iPhone. These old cabinets turn up at car boot sales and in second hand shops more often than you’d think, and this hack gives functionality to an already beautiful piece of history. The real beauty of that hack is it doesn’t modify or damage the phonograph either. A true melding of old and new. 26. 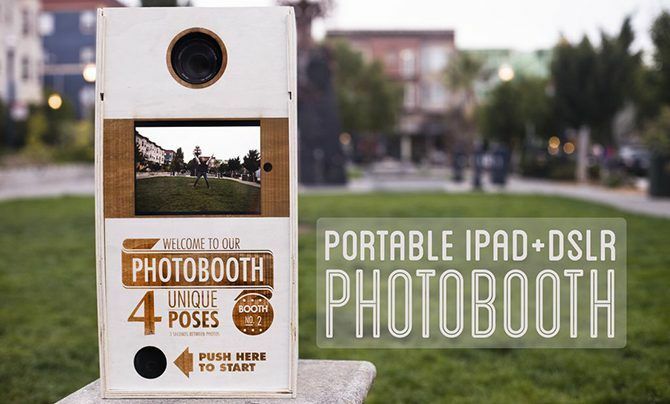 DSLR Photobooth: In keeping with old stylish ideas, bring back the photo booth with this combination of an iPad and DSLR photography. This build uses an SD card and wireless transfer to instantly display pictures taken on the iPad screen. 27. Smart Mirror: Moving firmly back to the future, This motion sensing smart mirror has an Android tablet at its heart, and widely available one way mirror sheeting for the mirror. 28. 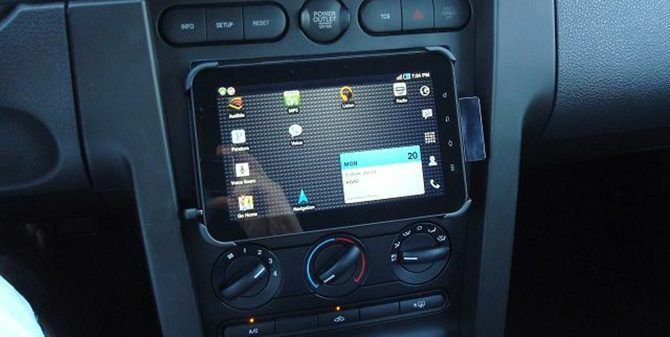 Car Dashboard: You can also use an Android tablet as a PC for your car. This in depth build replaces the car amplifier and creates a full media center and GPS system. It is worth noting however, that in car items like this are strictly regulated, and you should check local laws before attempting this hack. 29. Game Boy Biopsy: You may have dabbled with emulating retro games on your smartphone before. 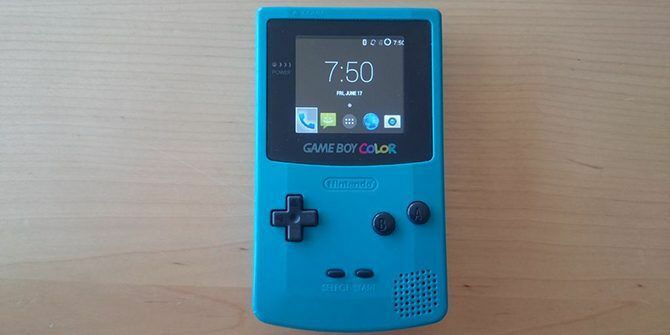 Why not go one step further and put an old smartphone into an old Game Boy? This build links up the original GameBoy case buttons with a Bluetooth keyboard PCB to let you control an emulator on the embedded phone. 30. Dual Boot iOS: These next few are all about smartphone software. To start with, do you have an older iPhone and find the newer iOS version run sluggishly on your phone? Why not Dual boot iOS versions and only use the newer ones when needed? Similarly, you could have two completely separate versions of the same OS on your phone for different use cases. 31. Dual Boot Android Mods: Similarly, if you want to branch out and boot several Android ROMs at once, it is easier than you might think. 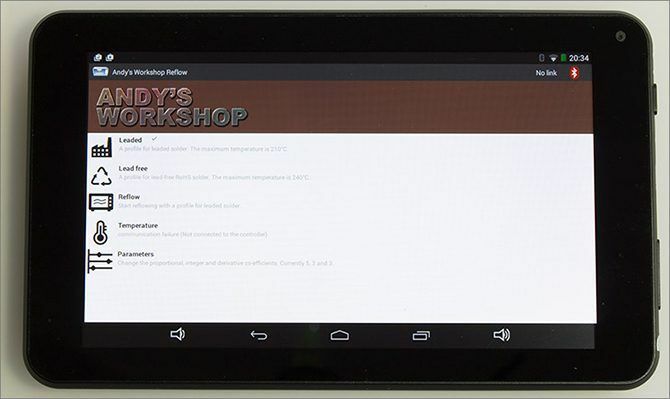 It uses the BootManager app from Google Play to allow you to choose between different Android ROMs. For a little more functionality, booting Linux alongside Android is a great step up. Although Ubuntu Touch is no longer being supported, there are a dedicated bunch of folks keeping it alive. Or, you could just go for a full Ubuntu install. Android phones can be the perfect candidate to make a server out of too. 32. Motorola Microcontroller: Do you use a Motorola? Moto Mods essentially turns your phone into a Raspberry Pi. 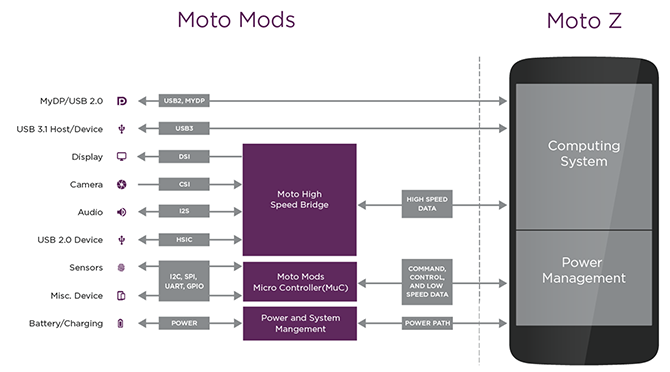 This project from Motorola comes with its own dedicated development toolkit to help you turn your smartphone into a microcontroller. Finally, this amazing project might not be useful to many, but it is worth looking at simply due to its scope. Andy Brown created a Reflow Controller from scratch for working on circuit boards. The project incorporates some serious electronics knowledge, an Arduino like processor core, and an Android tablet controlling the whole operation. This article has covered just over 30 different hacks, tips and tricks for your smartphone or tablet. As always, we have barely brushed the surface here and there are many more ways you can get the most out of your hardware. What have we missed? What are you planning to do to upgrade your experience? Let us know your own favorite hacks in the comment section below!